Our goal is to connect people with the best local experts. We scored electricians on more than 25 variables across five categories, and analysed the results to give you a hand-picked list of the best electricians in Lancaster, CA. Bushu Electric a licensed, insured and bonded electrical contractor serving residential, commercial, and industrial markets. The company's headquarters is based in Lancaster, California, and its electricians serve the Antelope Valley, Santa Clarita Valley, and surrounding areas in Southern California. Bushu Electric's electricians are praised for their prompt response to customer inquiries. They also provide same-day emergency service. The company itself features ceiling fan installation, rewiring, and spa circuits, among other offerings. Bushu Electric has more than 35 years of experience and is a veteran-owned company. Clients often hire Bushu Electric for its speed and competitive rates. Bushu electric encourages prospective customers to visit their website and Facebook page to check out current specials and deals. Located in Lancaster, California and serving clients in the surrounding metropolitan area, Jamison Electric is a professional electrical contractor that is available around the clock for clients emergency needs. The company accepts both residential and commercial clients and offers such services as switch and outlet wiring, electrical service upgrades, ceiling fan installation, lighting installation, repair work, and general electrical servicing. Family owned and operated, Jamison Electric has been in operation since its founding in 2014 and takes on both large and small projects. Previous clients praise the company for its friendly and knowledgeable staff as well as the cleanliness of its workspaces. KGG Electric is the go-to resource for expert electrical system installations, repairs, and remodeling services. The well-respected, Palmdale-area business brings honesty, integrity, and more than 30 years of hands-on industry experience to client projects of all sizes. The family-owned company commits to cutting edge service delivery every time by adhering to the highest industry standards for safety and professionalism. KGG Electric specializes in a range of services that meet specific customer needs including electrical construction, solar installation, parking lot services, repairs, panel upgrades, fire alarms, and more. Residential and commercial clients trust the dedicated experts at KGG Electric to deliver safe, reliable services without ever sacrificing quality or cutting corners. The business enjoys an excellent reputation for the high quality work and attention to detail that clients expect and deserve. Fully licensed, bonded, and insured for clients' peace of mind, KGG Electric is a professional electrical contractor located in Quartz Hill, California that serves clients across the state. In the industry since opening its doors in 1984, the company is available for commercial, residential, industrial, and service industry projects. With technicians who have more than twenty years of experience in the industry, KGG Electric is equipped to handle both small or minor repairs and larger major issues. 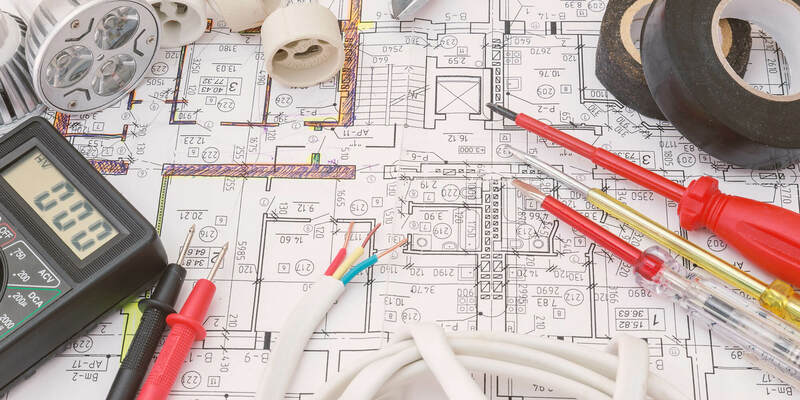 KGG Electric specializes in new construction and remodeling work and offers additional services like electrical system upgrades and repairs, low voltage and fire alarm systems upgrades and repairs, and more. Maine Electric Inc. is a family-owned and operated Lancaster business that has been serving commercial and residential customers for more than 30 years. The business’ service area includes Palmdale, Lake Hughes, Santa Clarita, Tehachapi, and Little Rock. Maine Electric Inc. provides a variety of services including recessed lighting, panel upgrades, ceiling fans, landscape lighting, security lighting, parking lot lighting, electrical troubleshooting, electrical inspections, fixture replacements, GFCI protection, smoke detectors, appliance circuits, remodeling, sub panels, and energy saving solutions. Maine Electric Inc. is licensed, bonded, and insured and offers free estimates. Maine Electric Inc. works on jobs of all sizes. Customers appreciate their quality of work, professionalism, and responsiveness. Michael L Maine Electric is a commercial and residential electrical contracting company based out of Palmdale, California that strives to provide their customers the ultimate experience fully equipped with superior customer service, affordable pricing, and an unwavering dedication to complete customer satisfaction. Customers who choose the company's services are guaranteed to have their jobs, no matter the size or complexity, completed with the same sense of pride, promptness, efficiency, and effectiveness. Their highly skilled and experienced electrical technicians strive to ensure that every customer has their expectations fully exceeded and that they are left feeling completely satisfied with all services rendered. Michael L Maine Electric provides a broad range of services such as wiring, electrical system maintenance and repair, diagnostics, and a variety of electrical component installation. Rubi Electric is a professional electrical contractor located in Lancaster, California that serves clients in the wider Los Angeles, San Fernando Valley, Antelope Valley, and Santa Clarita Valley metropolitan area. In the industry since its founding in 2000, Rubi Electric has experience working with street lighting, commercial and residential lighting, and power equipment installation. Services provided by the company include Los Angeles code enforcement repairs, electrical panel upgrades, new wiring, rewiring, troubleshooting, electric permit and inspections, video and data cable installation, work with intercoms, new electrical service installation, and more. Rubi Electric can be contacted by phone or email for appointments. Sal’s Electrical is a commercial and residential electrical contractor based in Los Angeles, California. A licensed company, their mission is to provide reliable and efficient electrical services to their clients. Being in the business since 1999, they have accomplished and successfully finished various electrical projects with their high level of professionalism. Professional services that they offer include troubleshooting, breakers, fuses, switches, ceiling fan installation, house re-wiring, LED lighting installation, motion controlled lighting, dedicated appliance circuits and more. Clients in need of a professional contractor can easily schedule service online. They also accept all major credit cards for fast and hassle-free payment. Since it is a fully bonded and insured company, clients get to have peace of mind as the work is done. Sonner Electric specializes in emergency repairs for the electronics of commercial and residential properties in Lancaster and the surrounding community. The family owned and operated company remains fully licensed, bonded, and insured for their clients’ protection and to ensure that each job is completed correctly. Potential customers can contact their trained employees to receive estimates on services of any size, and members of the military and senior citizens can receive discounts. Previous and current clients of Sonner Electric highly praise the company because of its courtesy and prompt responses to service calls, its friendly yet professional staff, and their high-quality services. Some of the available options for people include the installation of smoke detectors, landscape lighting, and residential and commercial electrical repairs.